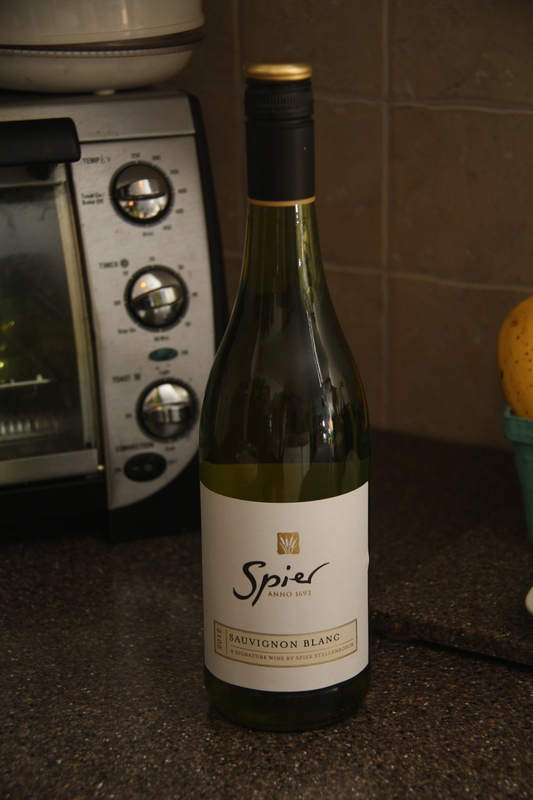 Since my mom was still here visiting, I thought it’d be fun to open the bottle of Spier Sauvignon Blanc that I had so we could do a comparison to the Spier Chenin Blanc we had the night before. My immediate thought upon opening it was “woo, floral!” It very much had that typical Sauvignon Blanc fresh, lemony zest to it and as it warmed up a little bit, I thought it’s original zip calmed down a little bit and I noticed more fruit flavors, like peach and apricot. We sipped most of it before dinner was served, but it nicely paired with some cheesy quinoa cakes I made and the lemon garlic aioli sauce that went over them. It wasn’t as dry as the Chenin Blanc and it’s an unoaked wine so the fruit flavors really pop through. I think it’s a pretty classic Sauvignon Blanc taste and like the other one from Spier, was also quite kind to the wallet. Final verdict? My mom preferred the Sauvignon Blanc and I was partial to the Chenin Blanc, but both were refreshing, easy drinking whites at a great price. Would you buy again? I’d buy both of these Spier’s again – great price for a good wine!